QUIKRETE® Textured Acrylic Concrete Coating (No. 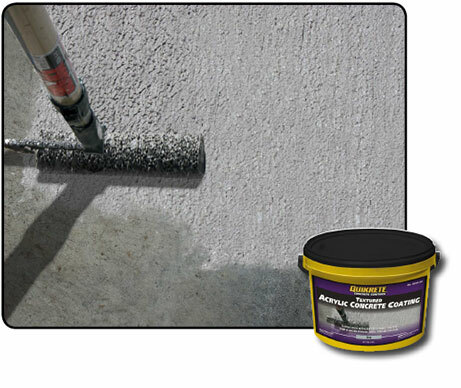 8730-06) provides a non-slip, new look finish to concrete surfaces. Apply at 100-150 sq ft. per gallon (9.3-14 m2) coverage will depend on porosity of the surface.